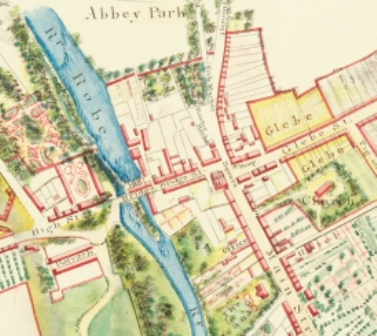 Brother Anselm Conway, aged 42, arrived in Ballinrobe, Co. Mayo, on 20th August 1943 to take up the post of Superior in the Christian Brothers monastery, and teach in the Brothers’ secondary school. A gentle, quaint man with a ready sense of humour, he had a remarkable capacity to inspire love in all who knew him. 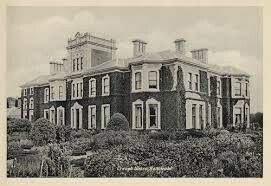 Soon he began to visit the patients in TB sanatorium in Creagh, two and a quarter miles outside the town. 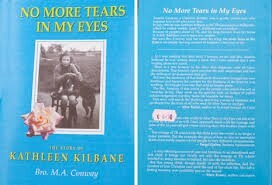 On 12 July 1946 Kathleen Kilbane arrived in Creagh, seriously ill with TB. Aged 11, Kathleen was the youngest patient in the sanatorium. She was a long way from her home on Achill Island. Because of the distance, together with people’s dread of TB, she was to have few visitors. But shortly after arrival bro. Conway befriended her. No More Tears In My Eyes is the story of their friendship. The original account was written by Bro. Conway, probably about Christmas 1948, a year after Kathleen’s death on 7th October 1947. This book is available in Martin Murphy's shop and on-line. Creagh Sun. 18 March 1947. I got your very nice letter today. I was delighted to hear from you and I keep reading it over and over again. I have just finished reading your book. I loved it. I think it was the nicest book I have ever read. I like “Pat” (little black pig) the best of all. I did not get any other letter today. Nobody is so kind to me as you are. I always say a lot of prayers for you. I am looking forward very much to seeing you on Saturday next and the two of us will play more games together. I am tried now and I would like to go to sleep. Goodbye and God bless you. From your own loving child, Kathleen. Creagh San. 12 July 1947. I got your very nice letter today. I was delighted to hear from you. I am keeping well but I am very lonely after you. I miss you very much. I was crying all day after you. I cried so much that there were no more tears left in my eyes. There is nobody to come to see me now and the time feels so long. You were nicer to me than my own Daddy ever was. But with the help of God the time won’t be long passing until you come back to me again. Nurse Wallace told me tell you that she won’t be going down to Cork until 8th or 9th and she might see you in Cork. Well, Brother, all the patients are asking for you, especially Mary Fallon, Mrs. Burke and Mrs. Lavelle. Do not forget to bring me some nice things. If you get any nice little buns with choclate on them or anything like that you can bring them, or nice sweets, put them in a box. God bless you always for being so good to me. Love from own child, Kathleen. This page was added by Averil Staunton on 03/05/2015. Averil. Delighted to see this story on website. Have the book and reread it several times over the years. A truly human story of compassion.